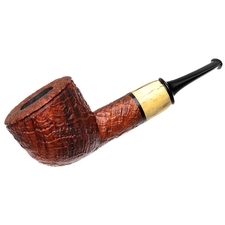 Gabriele dal Fiume's style often results in compact, muscular, organically-inclined pieces — usually plump and palm-filling but in quite diminutive packages overall. 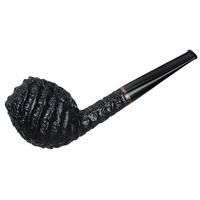 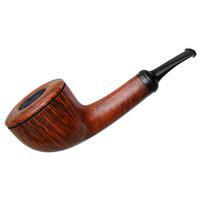 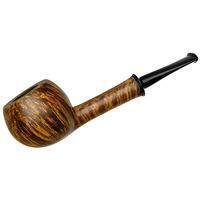 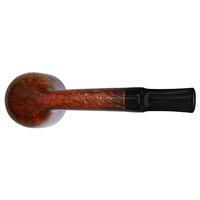 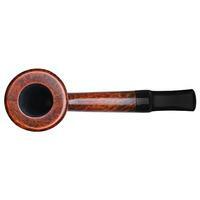 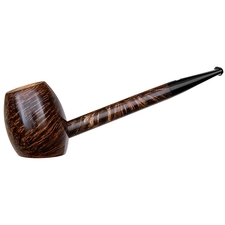 In this Dublin, the Italian carver maintains his conventional use of pocket-friendly proportions but deviates toward a more classic take on the shape. 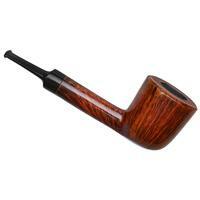 Even though he's fashioned Dublins in the past, they've all been bent and flowing of line. 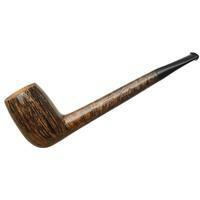 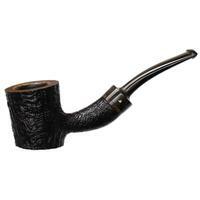 However, this piece here is straight as an arrow with an underlying leaning toward the Lovat in its elongated stretch of shank and abbreviated saddle stem. 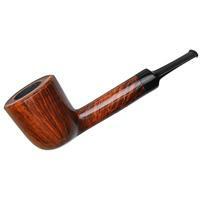 Slightly forward of cant and well-balanced of proportions, this rendition is bold, classic, and striking while still measuring in at under five inches in length. 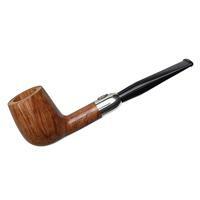 For added crispness and a subtle accent, Gabriele has neatly faceted the rim's outer-most edge, enhancing the piece's firm sense of line. 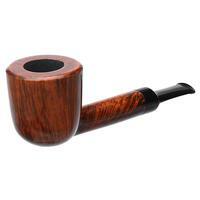 He's, then, adorned it in a burnt orange-hued contrast stain, highlighting the best of fiery flame grain around the bowl and freckles of birdseye populating the heel.